How Do I View My Access and WordPress Error Logs? 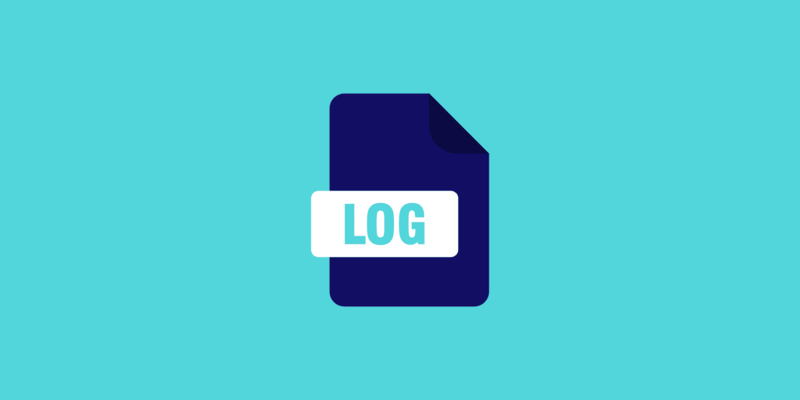 Logs can be very helpful when troubleshooting and debugging issues on your WordPress sites. Viewing your access and WordPress error logs is pretty simple. Just follow the instructions below. 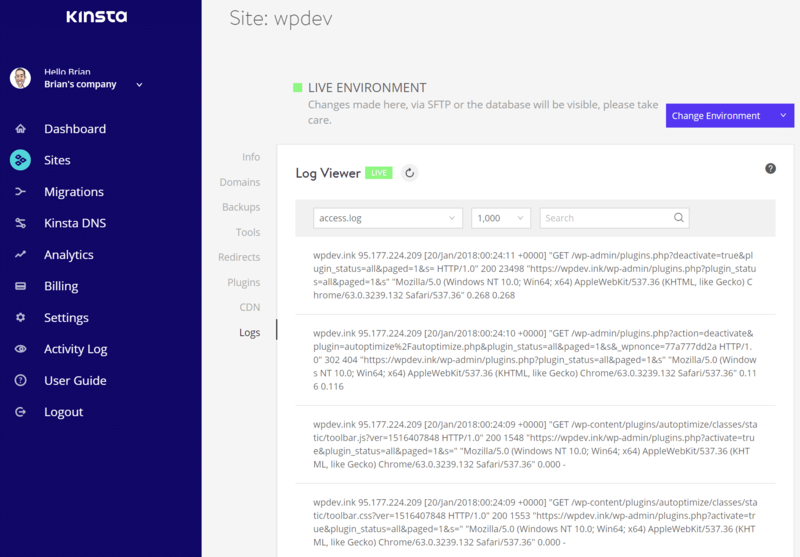 There are a couple different ways to view your access and WordPress error logs, one is via the MyKinsta dashboard, and the other is simply downloading the raw log files. We are excited that you can now access your logs in the MyKinsta dashboard. This is a fast way to quickly debug something without having to spin up your FTP client or command line. 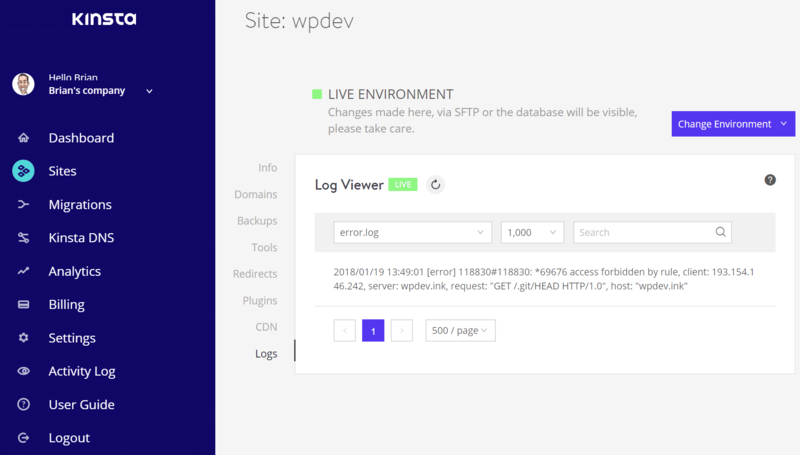 Simply click into one of your WordPress sites and on the right-hand side click on “Error Logs.” You can view your error.log, kinsta-cache-perf.log, and access.log files. By default, it will show the last 1,000 lines. You can drag the slider across to see the last 20,000 lines. The second way to view your logs is simply downloading the raw log files. First, you will want to connect to your site via SFTP. Then in the root, you will see a folder called “logs”. Within the folder are your access logs, WordPress error logs, and also your Kinsta cache logs. Gzip (.gz) backups are automatically created for older logs archives. You can see the codex for additional debugging information in WordPress. Your final option to view your WordPress error logs is to enable them in your wp-config.php file. First, you will want to connect to your site via SFTP. Then download your wp-config.php so you can edit it. Note: Always make a backup of this file first! If the above code already exists in your wp-config.php file but is set to “false,” simply change it to “true.” This will enable debug mode. Note: You will also see warnings or error in your WordPress admin if they exist. Save your changes and re-upload this to your server. The errors will then get logged to the debug.log file within your /wp-content/ folder. If for some reason you don’t see this file, you can always create one. 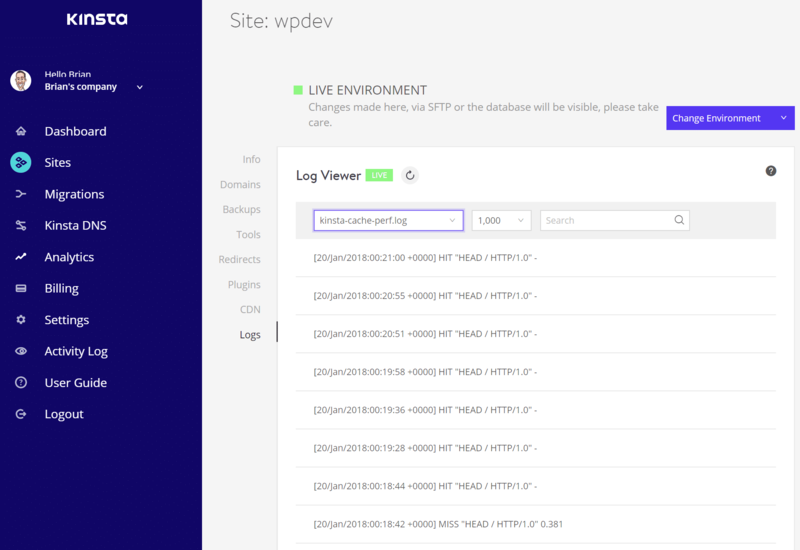 Important: If you have WP_DEBUG enabled in the Kinsta environment, all errors will be routed to the debug.log file and nothing would go to the error.log in the MyKinsta dashboard. → How Does Your Full Page Caching Work? → Do You Provide Root Access?